The South Shore Tour takes you on a circle island adventure. We will show you many beautiful scenic lookouts, cultural/historical sites. Our tour guides are knowledgeable and friendly and will help you make the most of your day. Come join the adventure and see the real Hawai'i. Most tours begin at 7:00 am and we will pick you up from your hotel or a location close by. We will begin the tour with a scenic lookout with sweeping views of Diamond Head and the city below. Then we will southeast and check out several scenic areas. We will stop for lunch at a delicious local restaraunt and then continue up the east side of Oahu. 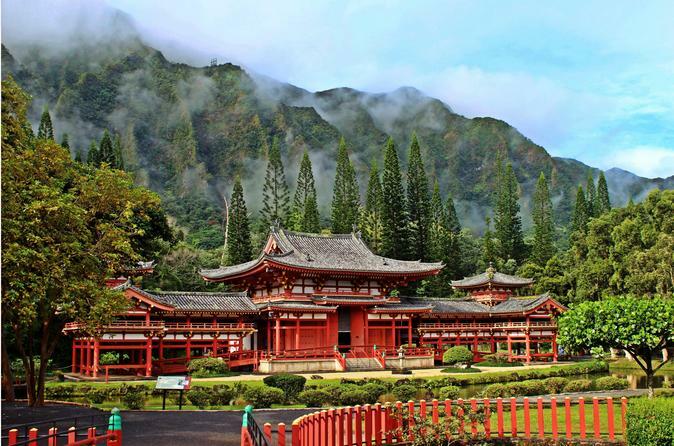 We will stop at a couple historic sites and check out the beautiful Byodo-In Temple. Our tours are flexible and we do our best to accommodate your interests and move at your pace.